This actually makes me really happy. 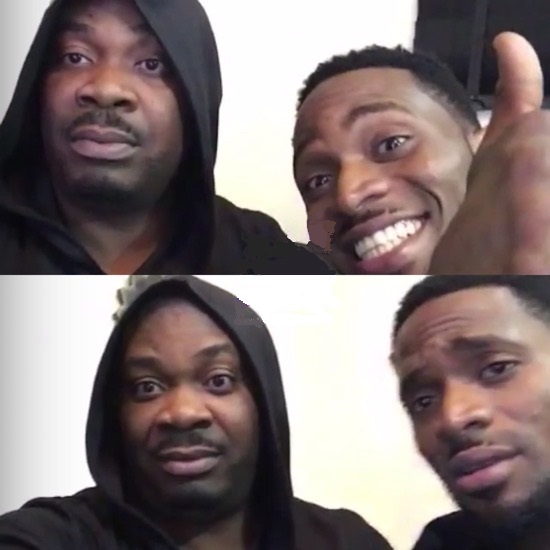 For the very first time since they parted ways in 2012, the two great Nigerian music icons, Don Jazzy and D'banj yesterday spent time together in the studio, hanging out on Periscope, in a friendly, happy and playful manner. D'banj's younger brother Kay Switch was also with them. I can assume something big is coming soon. Thanks to 2face Idibia I can see the effect of what he told them on his 40th birthday.